1. 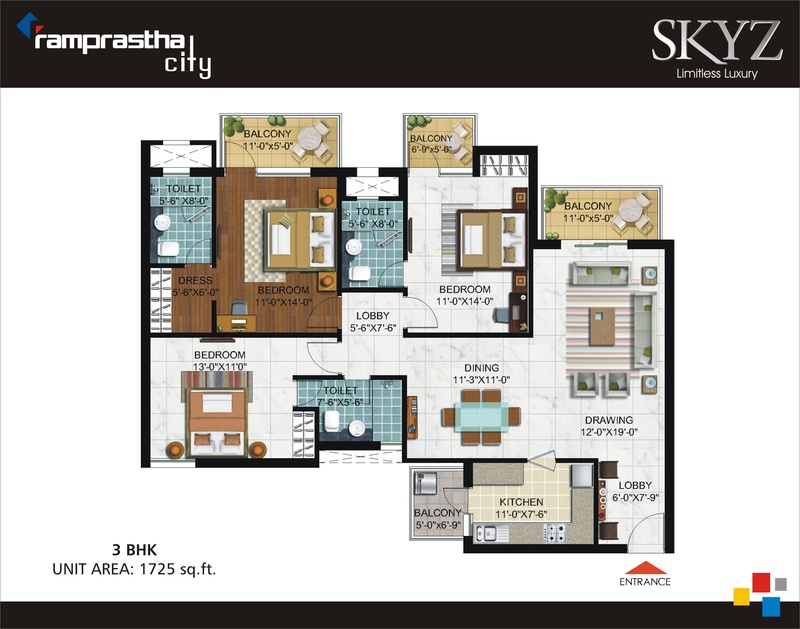 Ramprastha Skyz Floor Plan 3 BHK – 1725 Sq. Ft.
2. 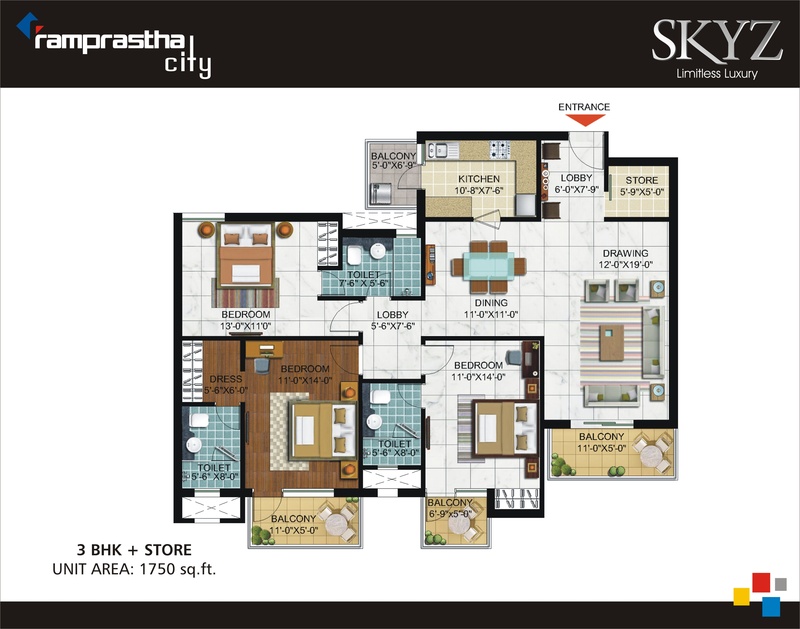 Ramprastha Skyz Floor Plan 3 BHK + Store – 1750 Sq. Ft.
3. 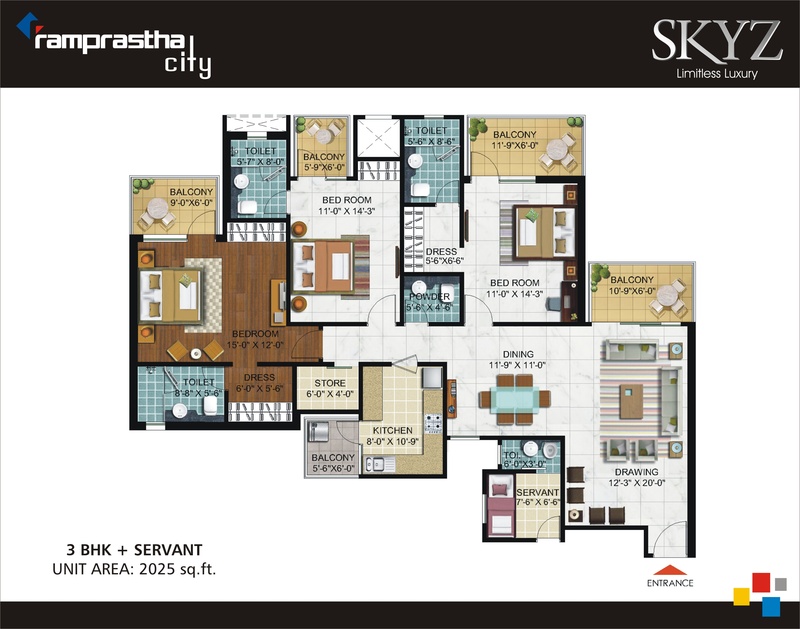 Ramprastha Skyz Floor Plan 3 BHK + Store + Servant – 2025 Sq. Ft.